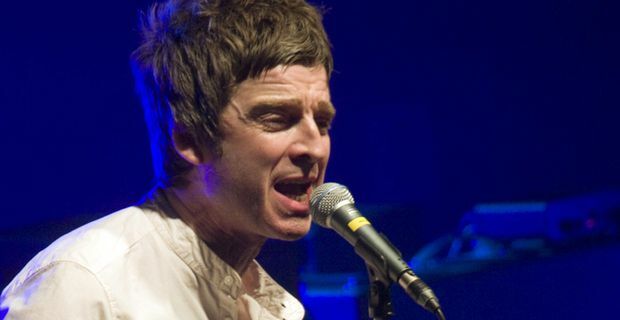 Noel Gallagher has been talking about his emotional response to seeing his beloved Manchester City win the Premier League. The singer was in a bar in Chile following the dramatic events as they unfolded back in Manchester. "We arrived in Santiago and a friend of ours opened his bar early so we could watch it," he told the BBC. "It started off tense, then it went from tense into elation and then back to tension. It seemed like QPR were in the lead for a lifetime and it was very dark." He had nearly given up hope when City reached stoppage time, still behind. “I thought 'We need it now, if we're going to do it, we need to do it now'. And then when Dzeko scored, I don't know what happened after that, there was a lot of swearing." Shortly afterwards Sergio Aguero scored the crucial goal that won the title for City. "My mate tried to pull the TV off the wall. I swore a lot and then I cried like a baby because I've never seen anything like that before. It was mindblowing." Noel's brother Liam was at the match, and had already promised to go back to Manchester to live if City won the title. If that is the case, Noel is unlikely to follow him. The brothers still have an uneasy relationship, stemming from the acrimonious break-up of Oasis. They do not even go to the same City matches together. Whether the title win will force a reconciliation remains to be seen.